2) Click Admin, and navigate to the Property you want to link. 3) In the PROPERTY column, click Google Ads Linking. 5) Select the Google Ads accounts you want to link, then click Continue. If you have an Google Ads manager account, select that account to link it (and all of its child accounts). If you want to link only some managed accounts, expand the manager account, then select each of the managed Google Ads accounts that you want to link. Or, click All Linkable to select all of managed Google Ads accounts, and then deselect individual accounts. 6)Turn linking ON for each view in the property in which you want Google Ads data. 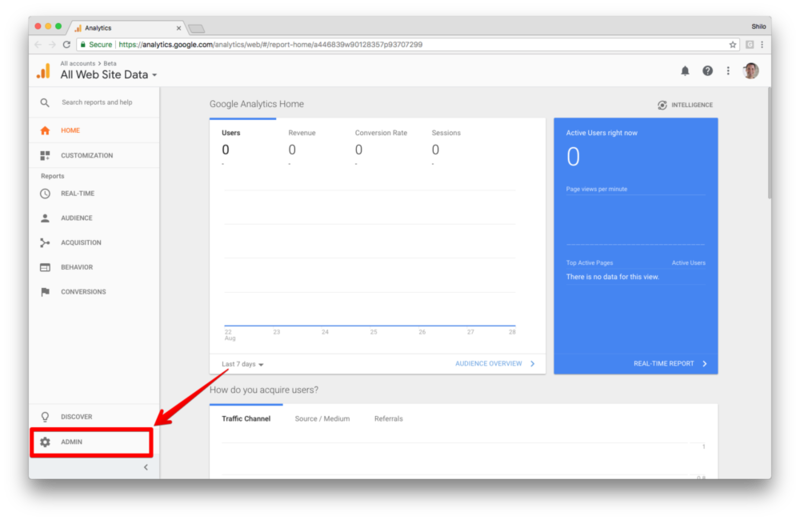 7) Optionally, select Enable Google Display Network Impression Reporting to also include that data in each view. 8) If you've already enabled auto-tagging in your Google Ads accounts, or if you want to let the linking process automatically enable auto-tagging in your Google Ads accounts, skip to the next step (9). However, if you want to manually tag your Google Ads links, click Advanced settings > Leave my auto-tagging settings as they are. Congratulations! Your accounts are now linked. If you opted to use auto-tagging (recommended), Analytics will start automatically associating your Google Ads data with customer clicks.